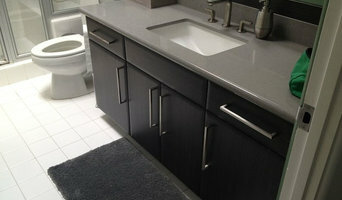 Cabinet City manufactures and imports quality stock solid wood kitchen cabinets for wholesale and retail. We have two state of the art factories in Canton, China, but for your convenience our showroom and 70,000 square foot warehouse is located in the city of San Gabriel. If you are looking for quality products, unique styling, and competitive pricing we have it. Our commitment to customer satisfaction makes Cabinet City the best and most trusted source of well-priced cabinets for kitchen and bath. We offer a wide selection of styles from classic raised panel doors to the modern shaker style. Our finishes include rich dark cherry and coffee glazed antique cabinets. For the modern shaker style; we have cinnamon oak, mahogany, and dark walnut espresso. Our pure white cabinet is a modern style made from one piece, solid wood constructed doors and drawers with a poly-urethane finish. Keeping them clean is a breeze! All of our cabinets are solid wood construction with plywood or lumbercore plywood panels. We do not use any pressed wood or MDF in our construction. These cabinets will last you a minimum of 20 years! From cutting, removal and decorative concrete work to block walls and foundation underpinning—JS has you covered. Save up to 30% off Top Deals! Take Care of Your Indoor Air Quality with Greenman Air Duct Cleaning service in Los Angeles, CA. We also provide attic cleanup and crawl space cleaning. Nordik Construction is led and managed by its owner Michael “Mike” Mauno, who has a 35 year history of commitment, involvement and assistance with successful projects throughout the State of California. With over three decades of invaluable construction and project management experience, we serve our customers specializing in small to medium size projects. Your projects are personally managed by Mike and not some unknown individual. Nordik Construction is dedicated to helping you realize the dreams for your home, and the goals you have for your investment real estate property needs. Ocean Pacific Patios, a Tony M. Ybarra Construction Company, has been servicing homeowners in Southern California for over 36 years building Alumawood style patio covers and Sunrooms. As a Licensed, Bonded and Insured Contractor, Mr. Ybarra prides himself and the Company on Honesty and Integrity. You will not experience “High Pressure” sales when dealing with Ocean Pacific Patios. Instead, you will meet with a caring, knowledgeable and patient designer, whose goal is to not only design your patio cover to your specifications and City Building Codes but to answer all your questions and leave you with a sense of confidence and reassurance. We are simply…. “Here to help”. Alumawood patio covers enhance your back yard with the look of real wood while providing a maintenance-free and durable product. Basically, it looks like wood without all the headaches associated with wood patio covers. So whether you are looking for a 50/50 shade structure like our Open Lattice Patio Covers or something that will protect you and your belongings from the elements (rain, animal droppings, wind and sun), like our Solid Insulated Aluminum Patio Covers we can help. Some homeowners even do a little of both with a Combo Cover. No matter which patio cover you choose you will get quality workmanship and a product that lasts a lifetime. You can find a broad range of specialty contractors from elevator companies to packers and movers in Long Beach, CA. If you are building a property from scratch or planning a large extension then you can more technically skilled renovators like a good rendering and plastering company or an experienced structural engineer. 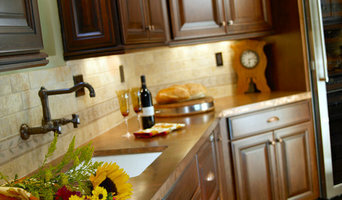 You can also talk and consult a Long Beach, CA cabinetry professionals about customized designs to add some uniqueness to your home. Don’t forget speciality contractors like home cleaning services, pest control services, and waterproof contractors will also be able to help you maintain your beautiful home. Find specialty contractors on Houzz. Look in the'Find Pros' section of our website. You can also look through photos of Long Beach, CA specialty contractor’s completed projects to see how specialist home contractors might approach design challenges.